Kim, Khloe and Kourtney Kardashian have just launched the Kardashian Kollection at Dorothy Perkins in the UK. 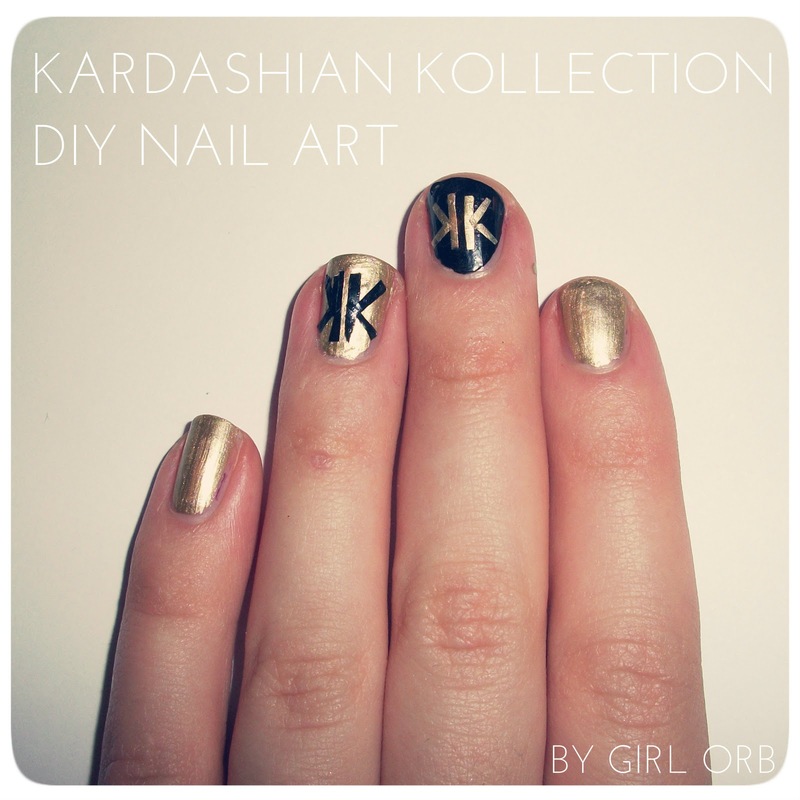 I thought I'd put together this DIY nail art tutorial for any super Kardashian fans out their who want Kardashian inspired nails. 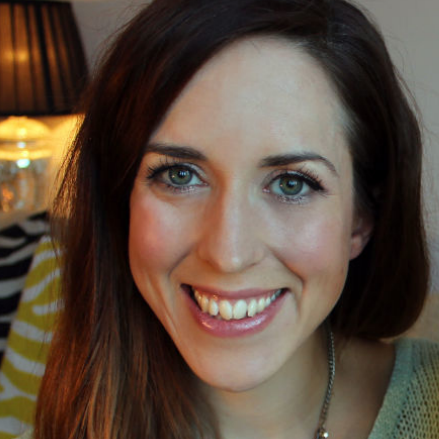 I have a little DIY nail art secret for you - nail polish on scotch tape! Forget about messy lines on manicures, I'm going to give show you a much easier solution. You will need nail polish, scissors and scotch tape. Apply base coat to nails. 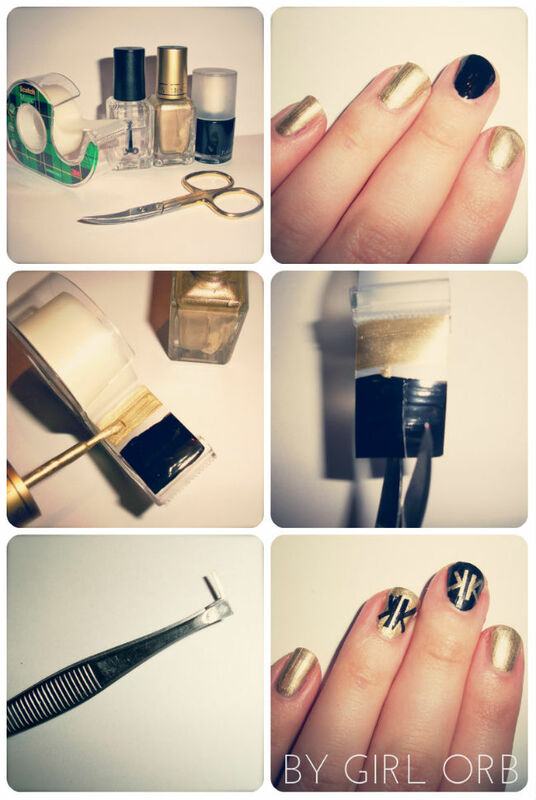 Apply gold or black polish to your nails. Apply polish to your tape and let it compleatly dry. Apply strips to nails, sticky side down (I used tweezers). Nail polishes I used: Barry M basecoat topcoat and nail hardener, Barry M foil effects 151 Gold and black Primark nail polish. I'd love to hear who's your favourite Kardashian sister is and why... Tell me in the comments section.